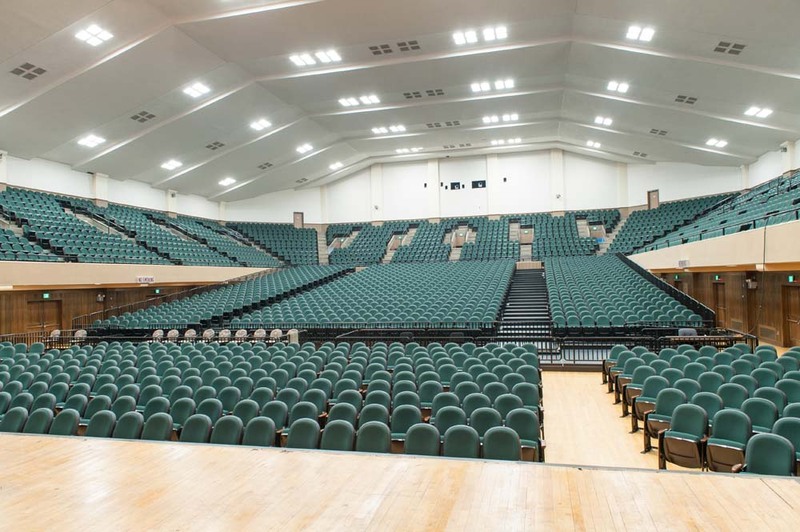 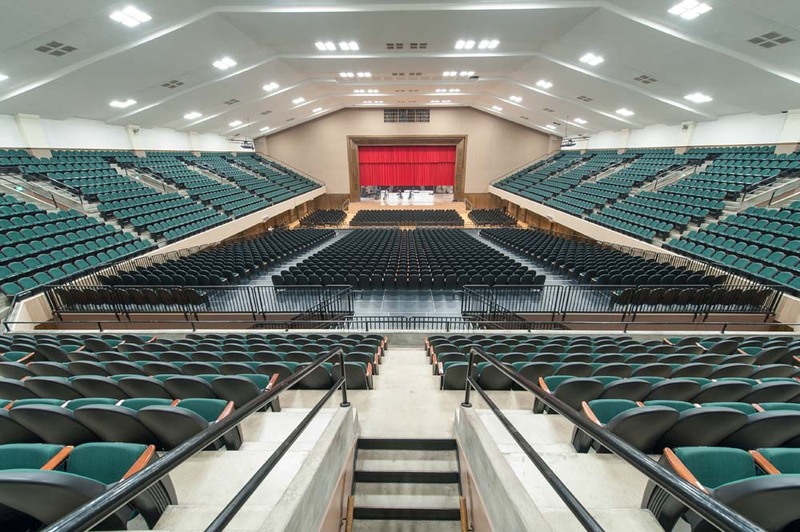 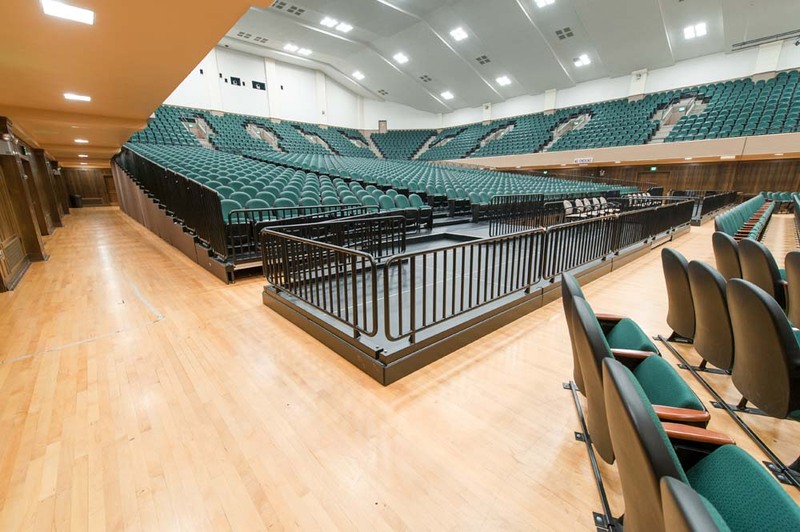 The Fairchild Auditorium at MSU is a large multipurpose auditorium space designed for large meetings and commencement exercises. 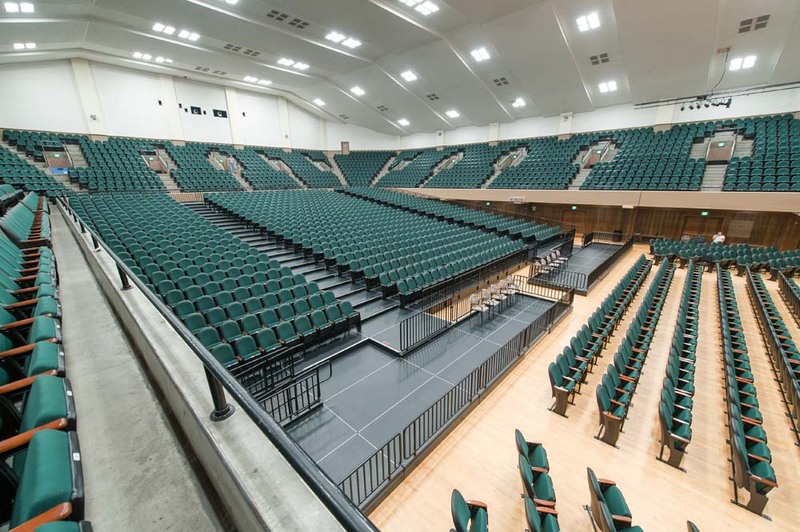 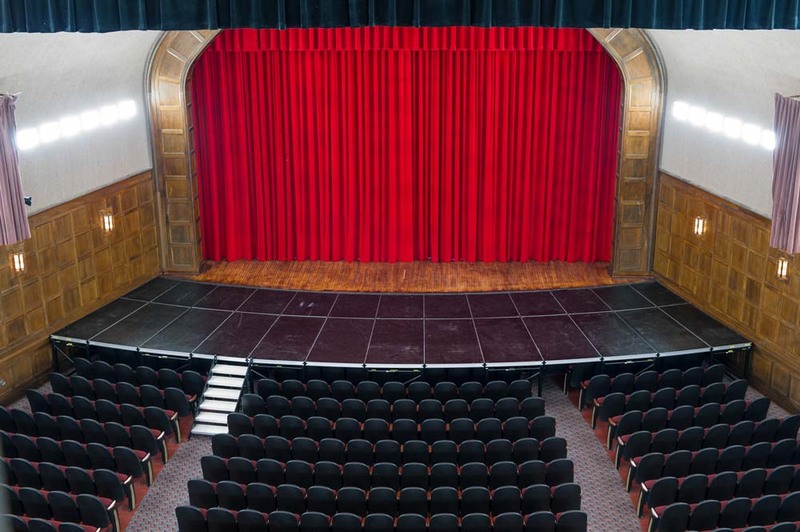 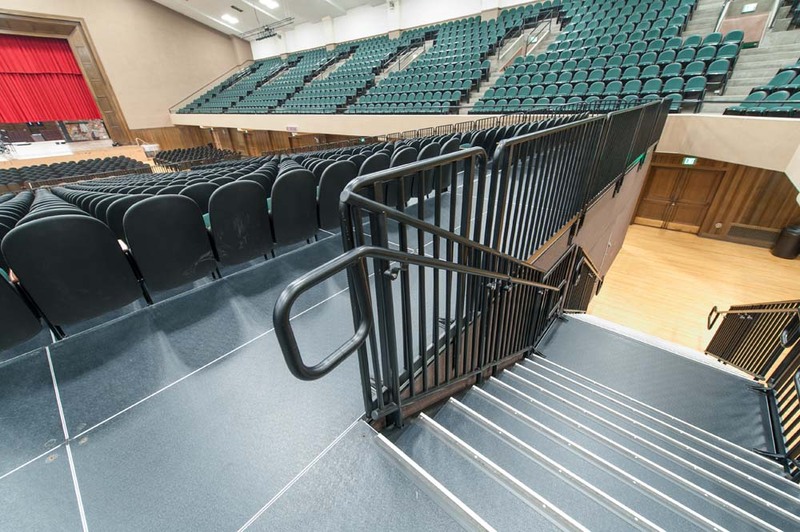 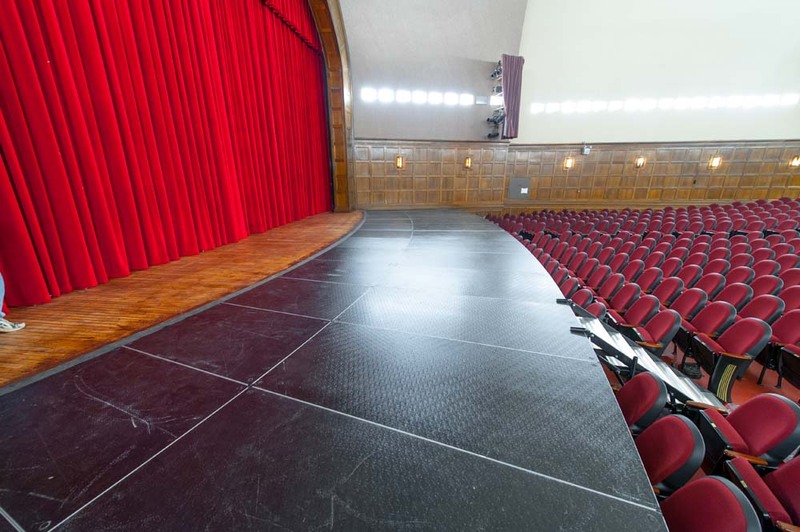 With flat floor seating, sight lines were not conducive to concert or theatre production. 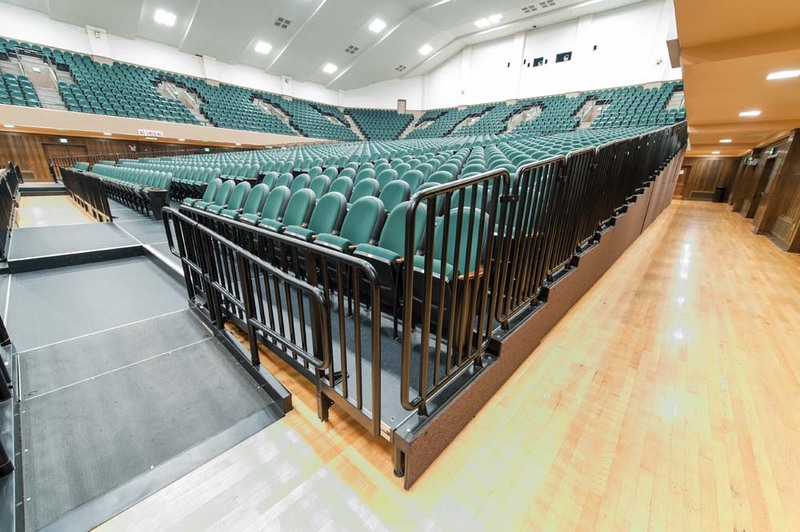 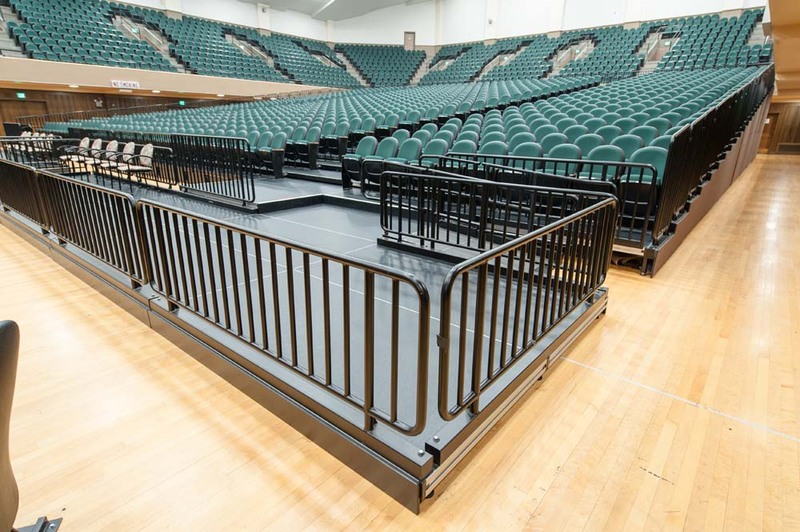 To solve this problem, StageRight provided a large portable ML-1600 seating riser to improve the patron’s experience. 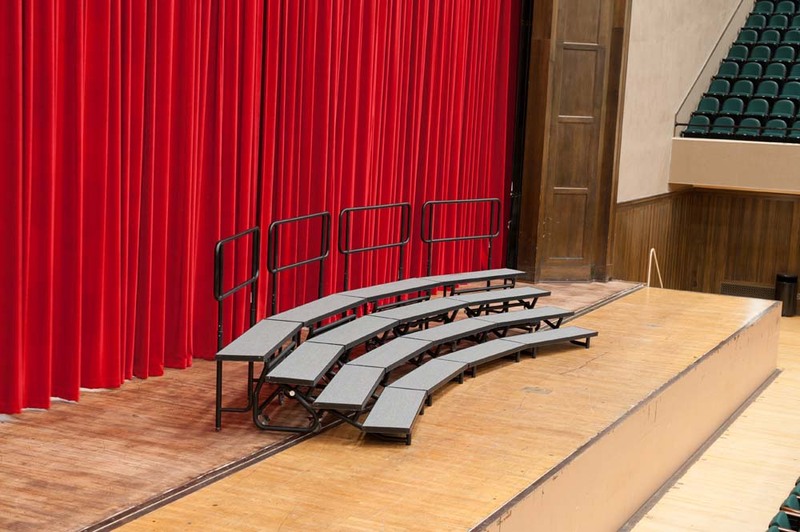 The riser includes custom hard closure side and rear panels. 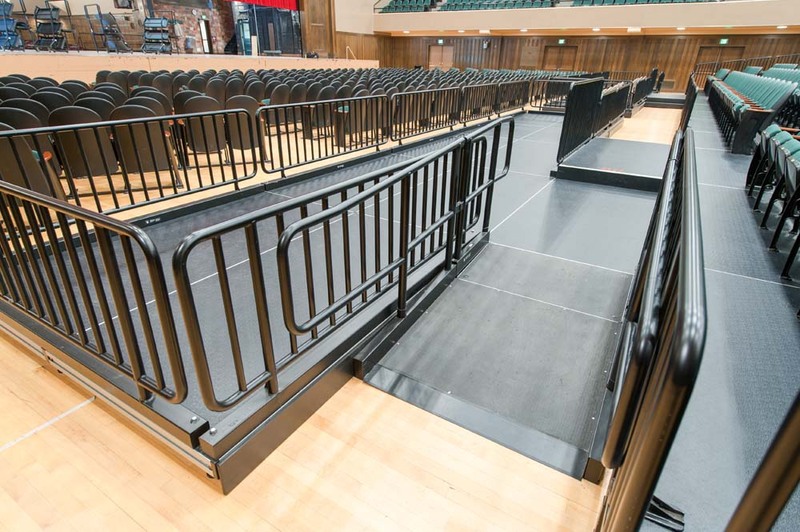 Chairs and other equipment can be securely stored underneath the riser in the large clear span areas created under the bridge or spanner decks. 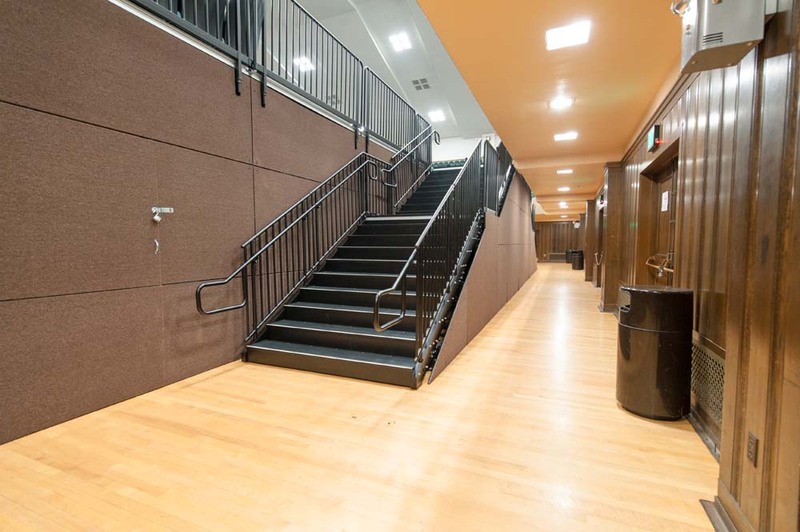 Lockable entry doors then prevent unauthorized access to the riser’s understructure. 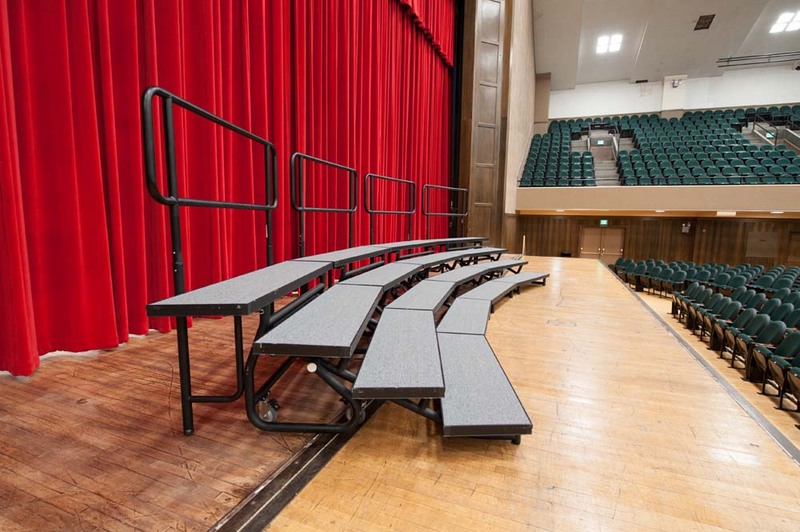 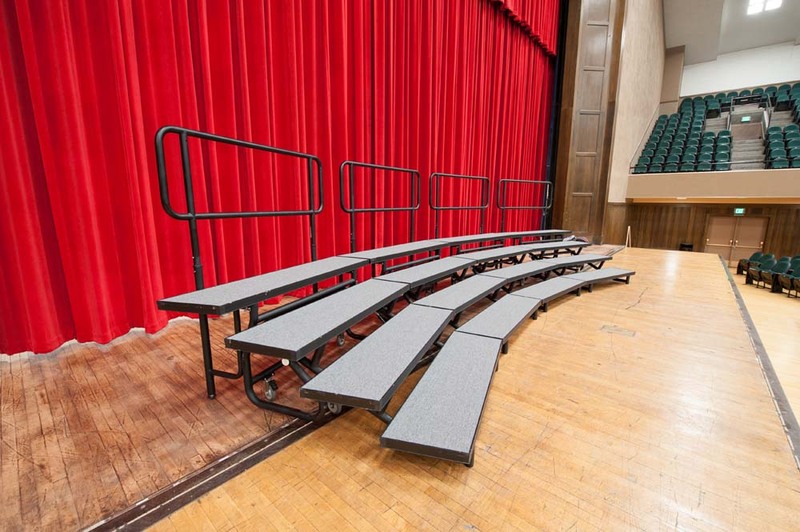 Comfortable auditorium seating is mounted directly to the decks.